A new trailer has been released for RAGE 2, the upcoming first-person shooter title from developers Avalanche Studios and id Software. 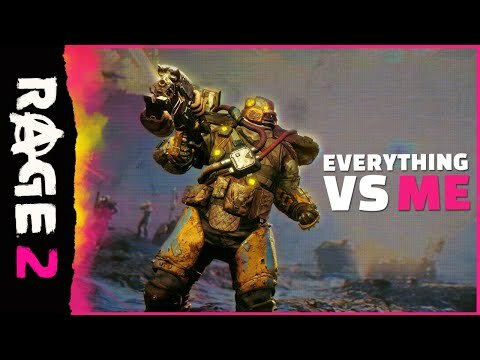 The trailer, which is titled "Everything vs. Me" is a rather funny look at the world of RAGE 2 that gives players plenty to enjoy. Showing some of the enemies, weapons and locations that will be in the full game this trailer really sells the tone of the experience. You can watch it for yourself above. RAGE 2 is releasing on 14th May for PlayStation 4, Xbox One and PC.